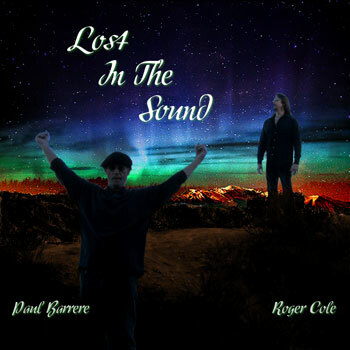 “Lost In The Sound” is an intriguing song, and a valuable introduction for the uninitiated to the wild range of talents and interests of the duo Roger Cole & Paul Barrere, and is a showcase for their musical virtuosity. From the posing questions of how we will survive what we have done to the earth, to anyone seeing the cover art and understanding all too well the otherwise implied notion of a world returned to a type of wild and barren space vacated of rampant technology and comfortable certainties. “Lost In The Sound” follows the counter-cultural ideas as well as the precepts of many outspoken critics of mainstream society, exploring the decadence of a world gone beyond what commerce, science and technology seemingly promised to provide initially. The mood of thoughtful exploration of the issue at hand is established, and we are in for another wondrous mind ride that Roger Cole & Paul Barrere are so singularly famous for. The track also focuses on aspects of this tension within an individual’s needs, thoughts and ways of surviving in what is soon to be an encumbering apocalyptic future characterized by uncertainty and a devastated world. But Roger Cole & Paul Barrere both know that mankind has gone too far in its endless search for riches, while totally disregarding any respect for nature, and must now pay the price. “Lost In The Sound” is simply one of the best Adrenalin-pumping, epic rock songs ever produced by Roger Cole & Paul Barrere. It climaxes with the most exciting instrumental music they have ever recorded too – unlike anything any other rock band has produced outside of the progressive rock era. 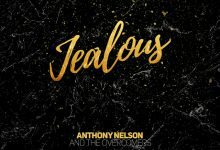 Listen very closely to the incredible acoustic guitar work, as well as the rousing electric guitar solo. The vocal harmonies are simply scintillating, and the drumming is brilliant. Towards the end, just be quiet if you can, and close your eyes, because when the song is over you will feel cheated at having to return to real life. This single represents the creative peak of what Roger Cole & Paul Barrere have been working towards in these last few years. “Lost In The Sound” is the last song of the year for the duo, who have once again been extremely prolific, and is available only on their EP, “Lost In The Sound pt. 1”, released on Black Friday.